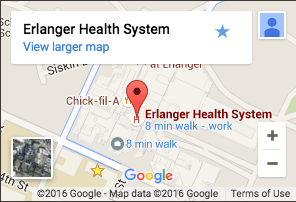 The Division of Respiratory and Critical Care Medicine at Erlanger Health System is comprised of physicians and staff who provide, advanced care for patients with illnesses and diseases related to the lungs, breathing and sleep. Our mission is to help all patients live fuller, more active lives through education and excellent care, with a strong focus on quality, compassion and state-of-the-art services. Our team of board-certified physicians offers highly-specialized expertise to help prevent and reduce the incidence of pulmonary diseases and chronic conditions. Works closely with Erlanger specialists in Respiratory Care Services, Thoracic Surgery, Cardiology, Hematology/Oncology, Infectious Diseases, Rheumatology and collaborates with surgeons in other specialties to provide comprehensive and effective treatment for patients.